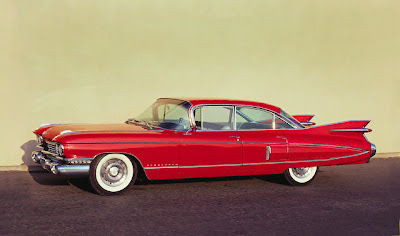 In the late 1950s Chrysler had the biggest, flashiest tail fins. So the word went out at GM to top Chrysler in 1959, no matter what. This 1959 Cadillac Fleetwood tail fin represents something of a high-water mark. The following year, fins would become more restrained, before disappearing altogether.